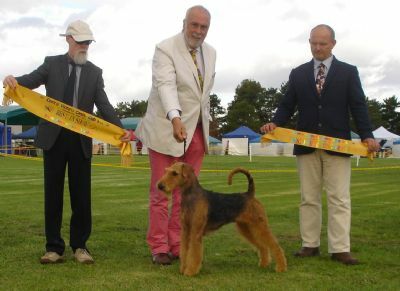 Australia's number one Airedale 2014 on both All Breed and Breed lists. 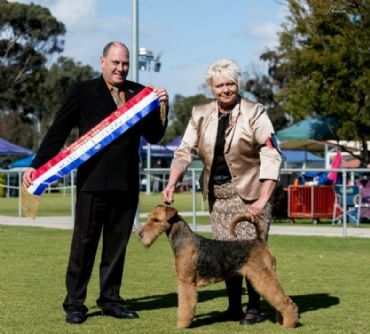 Royal Melbourne Show CC winner 2013. Immaculately bred combining Sue Henderson's Kingaire and our Tjuringa each with a dose of great American Champions on the male side. Sister to Ch Tjuringa Kristmass Kiss and Tjuringa Spice Is Nice. 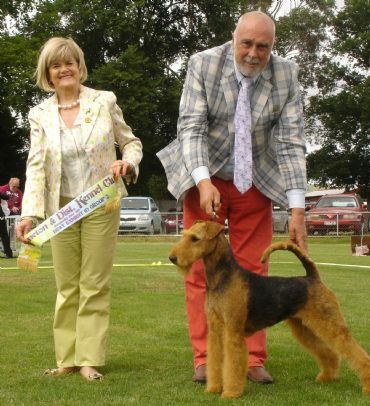 She may be bred in in 2016. Interest invited.